Designed by prominent Hazara poet and journalist Kamran Mir Hazar. Yellow is the Hazara root. It is from the family color of the Hazara mountains such as Baba and Hindu Kush. Yellow is also the Hazara sun. White is the Hazara transparency, loyalty, and honesty. 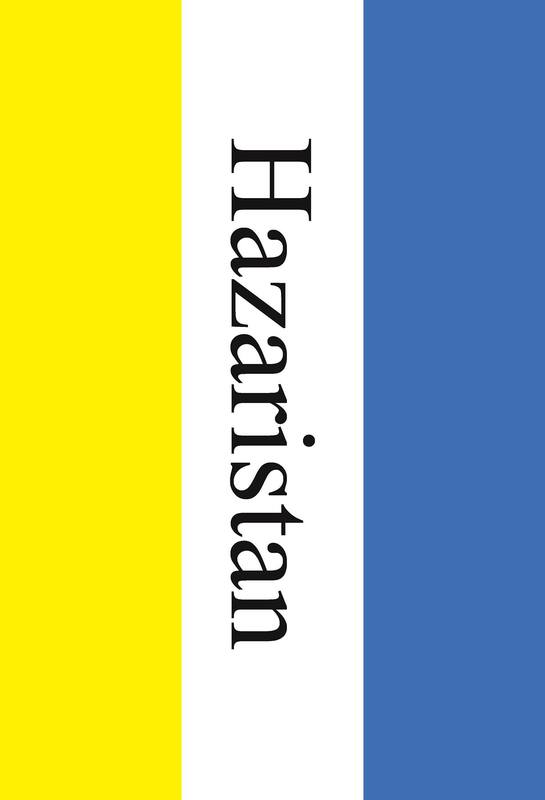 It is the color of the long winters of the Hazaristan. White is also one of the major colors used in the Hazara costumes. Blue is the sky. It is Hazara work and development. Blue is the Hazara talent, future, and national interest, and commitment. The Hazaristan flag was presented for the first time on the cover of the anthology Poems for the Hazara, edited by Kamran Mir Hazar (Full name: Poems for the Hazara: A Multilingual Poetry Anthology and Collaborative Poem by 125 Poets from 68 Countries). 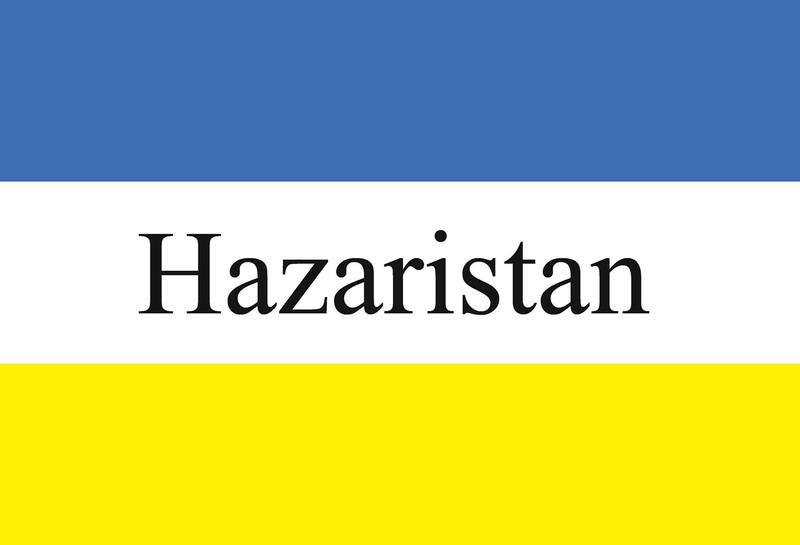 copyright notice: republishing and printing the flag of Hazaristan in any format, and using above explanation text is totally free.